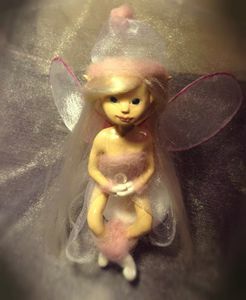 - Fairy is made from polymer clay. 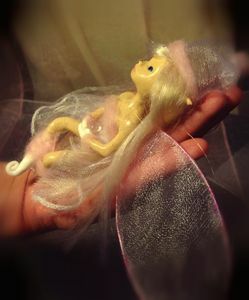 - Fairy is approximately 3 inches tall. - No molds were used in sculptural process. 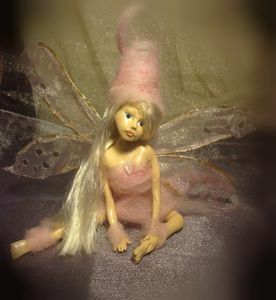 - Fairy is sculpted on a wire armature for stability. - Fairy has energized rose quartzl ion her chest. 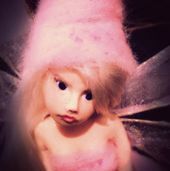 - Each fairy comes with a certificate of authenticity as part of Leia Meadow Art collectable line and a paper with her unique story. - Art fairies are fragile and should not be used as toys. - Ships worldwide from Croatia. Hello, I am Leia Meadow. I am from Croatia. 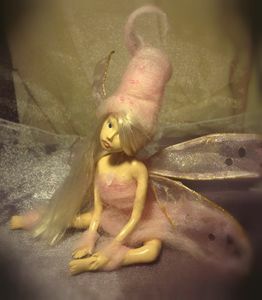 Fairies that I make are an original one of a kind creation (OOAK) and made from polymer clay, love and magic… They are brought to life by my own hands and my heart. 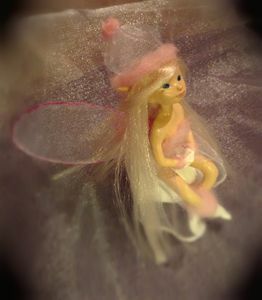 - Fairies are approximately 3-7 inches tall if they were standing up. - Fairies are sculpted on a wire armature for stability. - If you have any questions or want to order please e-mail me: leia.meadow@yahoo.com.